BAILEY, HUGH COURTENAY Initials: H C Nationality: Barbados Rank: Flight Cadet Regiment/Service: Royal Air Force Unit Text: 2125th Training Depot Station Age: 24 Date of Death: 30/10/1918 Additional information: Son of William Henry and Isabella Bailey (nee Browne). Formerly served in the Canadian Expeditionary Force with 38th Bn., P.P.C.L.I., Engineers, and Army Medical Corps. Born at Barbados, British West Indies. Casualty Type: Commonwealth War Dead Grave/Memorial Reference: B. 19. Cemetery: VENDOME TOWN CEMETERY, France. Formerly served in the Canadian Expeditionary Force with 38th Bn., P.P.C.L.I., Engineers, and Army Medical Corps. 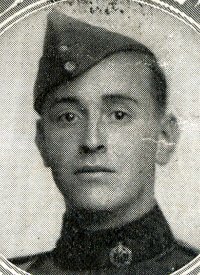 BONYUN, FRANK VERNON Initials: F V Nationality: Trinidad Rank: Second Lieutenant Regiment/Service: Royal Flying Corps Unit Text: 32nd Sqdn. Age: 18 Date of Death: 02/01/1918 Additional information: Native of Trinidad, British West Indies. Son of William Austin Bonyun and Ida Bonyun, of "Hummers Knott," Ashfield Road, Chelston, Torquay. Casualty Type: Commonwealth War Dead Grave/Memorial Reference: IX. B. 13. Cemetery: MENDINGHEM MILITARY CEMETERY, Belgium. Born at San Fernando. 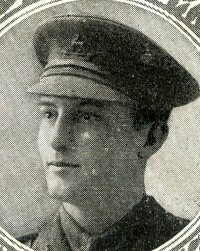 Educated at the Boys High School, Croydon; matriculated at the London University in Jan 1917 and on attaining the age of 18 he joined the Army, received a commission in the RFC (Low Flying Sqn) in August as 2nd Lt. KIA on 2 Dec 1917. S/O of WA Bonyun of San Fernando. FYB1919 Commemorated on Port of Spain Cenotaph. Click on surname for photo. D'ADE Initials: E R Nationality: United Kingdom Rank: Airman 1st Class Regiment/Service: Royal Flying Corps Unit Text: South African Sqdn. Date of Death: 24/01/1917 Service No: 9832 Casualty Type: Commonwealth War Dead Grave/Memorial Reference: VII. A. 4. Cemetery: MOROGORO CEMETERY, Tanzania. In South Africa when war broke out and enlisted at once. Was 1st Air mechanic, RFC. Died as the result of a chemical explosion, while making high explosives for the army at east Africa, 13/2/1917. FYB1919 Commemorated on Port of Spain Cenotaph. Click on surname for photo. JOHNSON, FRANK LAWRENCE Initials: F L Nationality: Barbados Rank: Lieutenant Regiment/Service: Royal Flying Corps Unit Text: 22nd Sqdn. Secondary Regiment: British West Indies Regiment Secondary Unit Text: and Age: 19 Date of Death: 06/09/1917 Additional information: Son of Frank Hart Johnson and Louise Johnson, of Barbados, British West Indies. Casualty Type: Commonwealth War Dead Grave/Memorial Reference: B. 24. Cemetery: ALEXANDRIA (HADRA) WAR MEMORIAL CEMETERY, Egypt. Commemorated on the World War 1 Memorial, Roseau, Dominica. KING, BERRY Initials: B Nationality: United Kingdom Rank: Lieutenant Regiment/Service: Royal Flying Corps Unit Text: 25th Sqdn Secondary Regiment: King's Own Yorkshire Light Infantry Secondary Unit Text: and 6th Bn. Age: 26 Date of Death: 03/05/1917 Additional information: Son of Mr. and Mrs. A. O'Reilly King, of 85, Barry St., Kingston, Jamaica, B.W.I. Casualty Type: Commonwealth War Dead Grave/Memorial Reference: IV. E. 6. Cemetery: LAPUGNOY MILITARY CEMETERY, France. KNAGGS, KENNETH JOHN Initials: K J Nationality: Trinidad Rank: Second Lieutenant Regiment/Service: Royal Flying Corps Unit Text: 56th Sqdn. Secondary Regiment: Royal Warwickshire Regiment Secondary Unit Text: and 4th Bn. Age: 21 Date of Death: 16/03/1918 Additional information: Son of Sir S. W. Knaggs, K.C.M.G., of Trinidad, British West Indies, and Lady Knaggs. Casualty Type: Commonwealth War Dead Grave/Memorial Reference: North side. Cemetery: ARLEUX-DU-NORD COMMUNAL CEMETERY, France. Born in Trinidad. Educated at Ridways (Birmingham), Tonbridge, and Birmingham University where he was a keen and active member of the OTC. Shortly after the outbreak of war he joined the Army, obtaining a commission in the 4th Batt., Royal Warwickshire Regt.. After a few months training he secured a transfer to the RFC, and was ultimately to join the famous "Ball's Sqn" with which he was flying when Capt ball was killed. "Jack" knaggs showed all that daring and indifference to danger which made Ball the airman he was and he was considered one of the most intrepid and experienced aviators. On Mar 16th, 1918, his fatal day, he had done extraordinarily well in a fight with enemy scouts and was gallantly attacking a 2-seater when his machine, being hit in a vital spot, was seen to crumple up and fall to earth. FYB1919. Commemorated on Port of Spain Cenotaph. Click on surname for photo. MILLER, WILLIAM JOSEPH SCHOENER Initials: W J Nationality: Trinidad Rank: Second Lieutenant Regiment/Service: Royal Air Force Unit Text: 24th Sqdn. Date of Death: 17/09/1918 Casualty Type: Commonwealth War Dead Memorial: ARRAS FLYING SERVICES MEMORIAL, France. Born in Trinidad 24 Nov 1895. Educated at CIC and at St Augustines, Ramsgate, England. Left Trinidad with the 1st Merchants Contingent, 18 Oct 1915, ex R.M.S.. "Danube". Joined the RFC as 2nd Lt. KIA at Fresnoy le Petit, France on 17 Sep 1918. 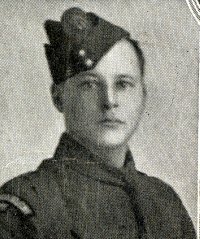 "Was on air patrol duty with others and was suddenly surprised by a hun scout, who must have wounded him, as they noticed his manoeuvres peculiar, and his machine got fuddled, though he tried to come low down to his lines, but suddenly a south-westerly wind took him right away and nothing more was heard or seen of him..." From an apparently reliable source information has been received by the authorities that Lt Miller has been reported as having been buried near Fresnoy le Petit, France. FYB1919 Commemorated on Port of Spain Cenotaph. Click on surname for photo. ROXBURGH, ALAN CAMERON Initials: A C Nationality: United Kingdom Rank: Lieutenant Regiment/Service: Royal Flying Corps Secondary Regiment: Nottinghamshire Yeomanry (Sherwood Rangers) Secondary Unit Text: and Age: 26 Date of Death: 28/11/1917 Additional information: Son of Adam and Adele Roxburgh, of Walkers Wood, Jamaica, B.W.I. Casualty Type: Commonwealth War Dead Grave/Memorial Reference: B. 15. Cemetery: RAMLEH WAR CEMETERY, Israel. STOCKHAUSEN, IVAN LANCELOT Initials: I L Nationality: United Kingdom Rank: Lieutenant Regiment/Service: Royal Flying Corps Unit Text: 17th Sqdn. 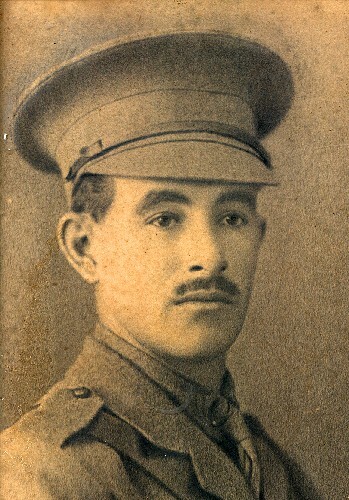 Secondary Regiment: British West Indies Regiment Secondary Unit Text: and Age: 27 Date of Death: 03/10/1917 Additional information: First born Son of John and Miriam Stockhausen, of Stewart Town, Trelawney, Jamaica, B.W.I. 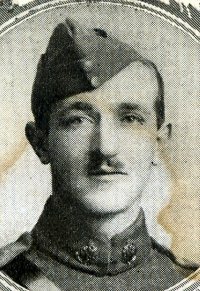 Joined up in 1915,aged 25.He arrived in England as part of the B W I Regiment,and was gazetted 2nd Lt in December 1915.He became attached to the RFC No 17 Squadron in November 1916. Gazetted Flying Officer March 7th 1917,Gazetted Lieutenant (BWI Regiment and RFC) July 1st 1917.Killed in aerial combat in Salonika Greece,October 3rd 1917. COLONIAL - CASUALTY CARD--124152/2 19.10.17. 2ND BTN BWI-RFC STOCKHAUSEN,LT I.L. AT TIME ACCIDENT:- PILOT. DATE REPORT RECD...REF NBR :---24.11.17 87/9926 22.10.17 REPORT OF DEATH:- 124152/2 19.10.17. DATE OF CASUALTY:- 3.10.17. WHERE OCCURRED:- MACEDONIA--OVER ENEMY LINES NEAR SERES. TYPE MACHINE:- BE 2 E. NATURE/CAUSE OF ACCIDENT:- COMBAT. RESULT OF ACCIDENT:- MISSING CORRECTED TO KILLED. NAME OF OTHER OCCUPANT OF MACHINE:- 2/LT C.WATSON..KILLED. REMARKS:-121/8625...MESSAGE DROPPED BY GERMANS. Source & photo: H I Stockhausen. Casualty Type: Commonwealth War Dead Grave/Memorial Reference: VII. B. 9. Cemetery: STRUMA MILITARY CEMETERY, Greece.